The name Clara International is synonymous with beauty for women in Malaysia. Clara International is one of the most renowned brands not only within Malaysia but also in the surrounding region and not many people know that it is a fully, Malaysian home-grown brand. The company was started by Prof. Dr. Clara L. Chee where she is now one of the most prominent women in Malaysia. Dr Clara started working as a beauty therapist after completing her degree in Chemistry where she would then start her own beauty business in 1977 in Petaling Jaya in Selangor and she would then continue to learn more about Medicinal and Cosmetic Products Technology when she continued her studies at University of De Montfort in United Kingdom. One of the remarkable achievements of Dr Clara is that she started with a philosophy and vision and build it to become one of the most known brands in Malaysia today, where it is the now the largest group of beauty companies in South-East Asia. So remarkable was her achievements in the beauty industry that she was awarded the Honorary Doctorate in Cosmetic Science and Technology by the prestigious Pacific Western University in the United States. She is currently the Chairman of Clara International Beauty Group Sdn Bhd Malaysia while she is also the Head of Research & Development for Best Cosmetics Laboratories Sdn Bhd as well as the Director of Clara Beauty Products (Co) Ltd in Shenyang, the China subsidiary of the group. The Clara International beauty outlets are found at all major states around Malaysia with a very strong presence in Kuala Lumpur and other cities. 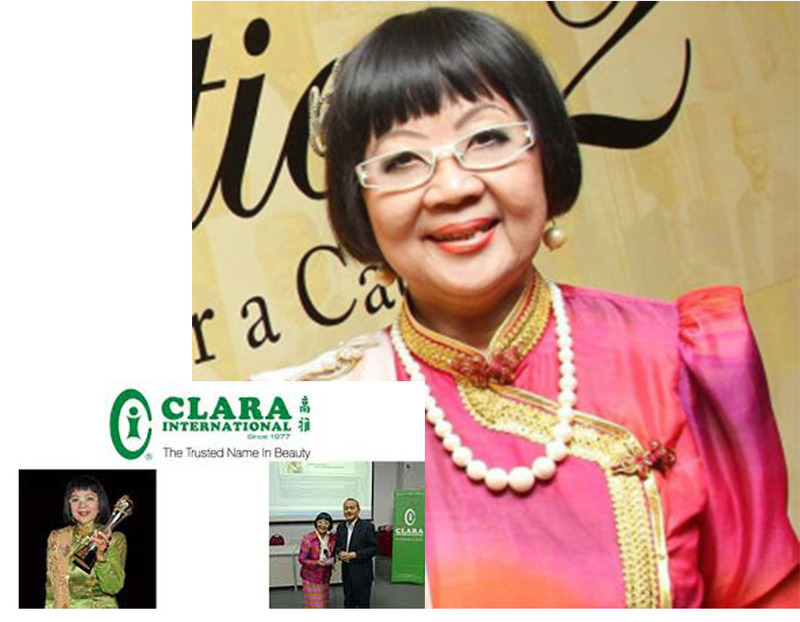 Dr Clara continues not only to promote the Clara International brand but also in the education and nurturing of beauticians through its college arm and other subsidiaries, where it remains as one of the proud products of Malaysia.